The growth of overland emigration to Oregon after 1842 resulted in the establishment of military posts across the West to protect travelers. 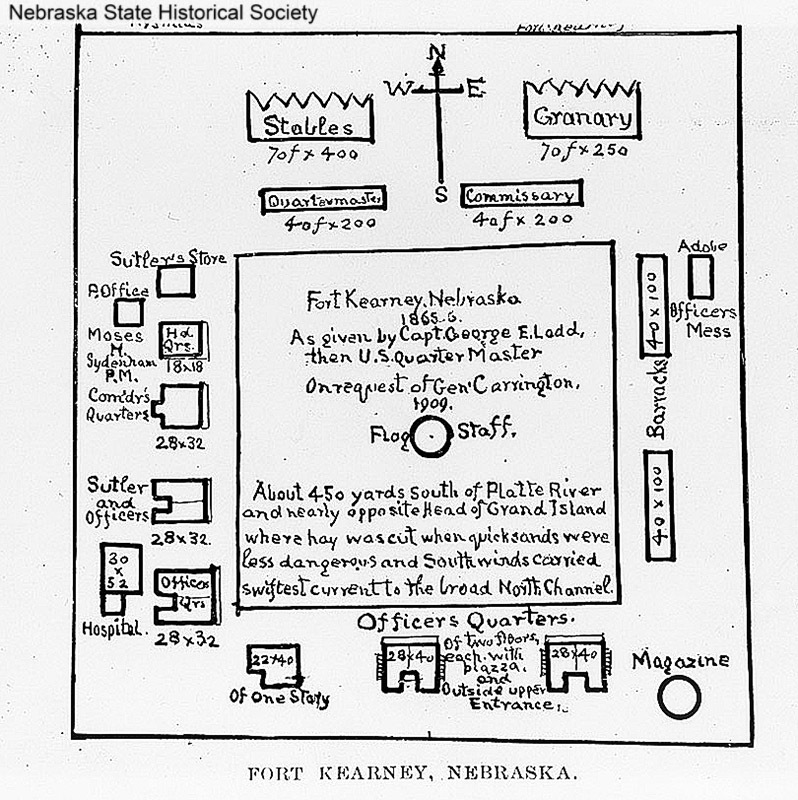 The first post, Fort Kearny, was established in the spring of 1848 "near the head of the Grand Island" along the Platte River by Lieutenant Daniel P. Woodbury. 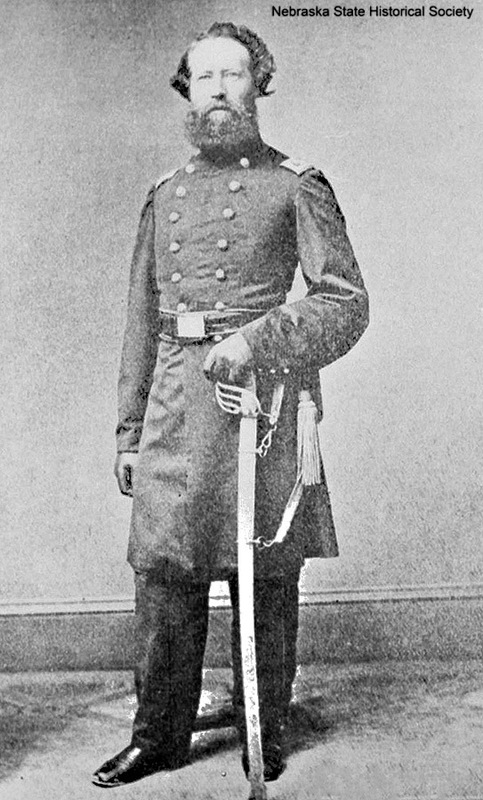 It was first called Fort Childs, but in 1848 the post was renamed Fort Kearny in honor of General Stephen Watts Kearny. 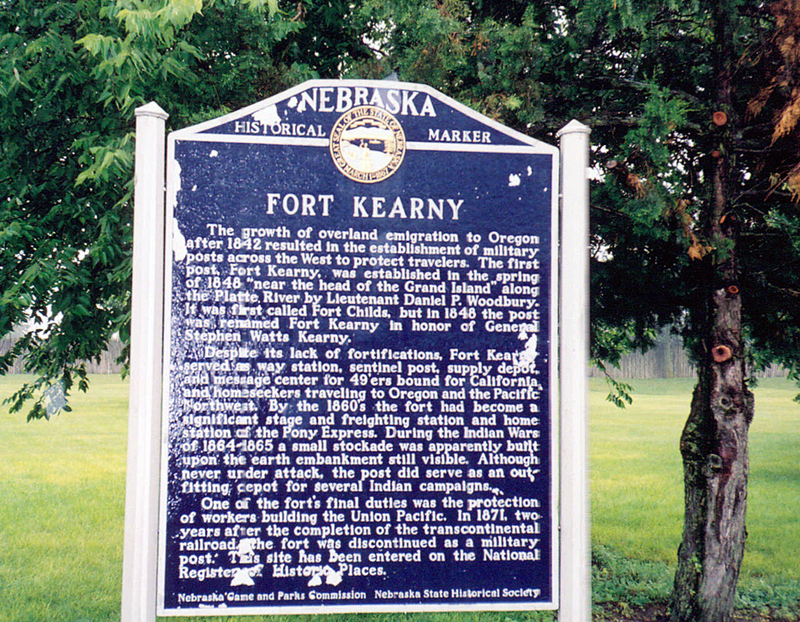 Despite its lack of fortifications, Fort Kearny served as way station, sentinel post, supply depot, and message center for 49'ers bound for California and homeseekers traveling to Oregon and the Pacific Northwest. By the 1860s the fort had become a significant state and freighting station and home station of the Pony Express. During the Indian Wars of 1864-1865 a small stockade was apparently built upon the earth embankment still visible. Although never under attack, the post did serve as an outfitting depot for several Indian campaigns. One of the fort's final duties was the protection of workers building the Union Pacific. In 1871, two years after the completion of the transcontinental railroad, the fort was discontinued as a military post. This site has been entered on the National Register of Historic Places. 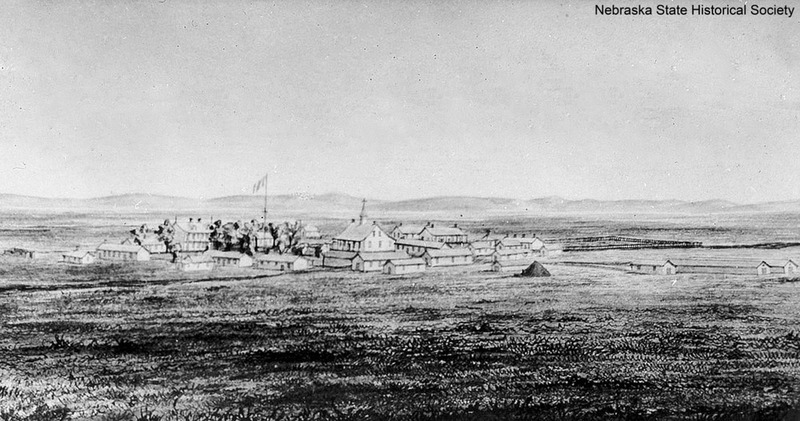 “Fort Kearny,” Explore Nebraska History, accessed April 19, 2019, https://mynehistory.com/items/show/297.